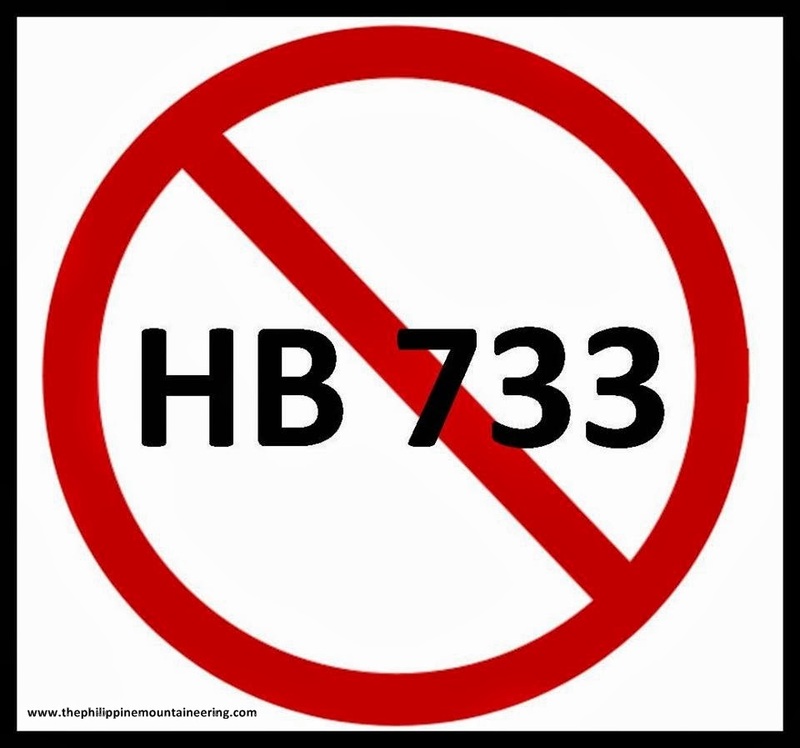 No to HB 733 "Anti-Volcano Climbing Act of 2012"
After the No To Stairs to Mt. Apo, the mountaineering community is now being tested with illogical acts. Today, we are still waiting for the result of the deliberation of House Bill 733. 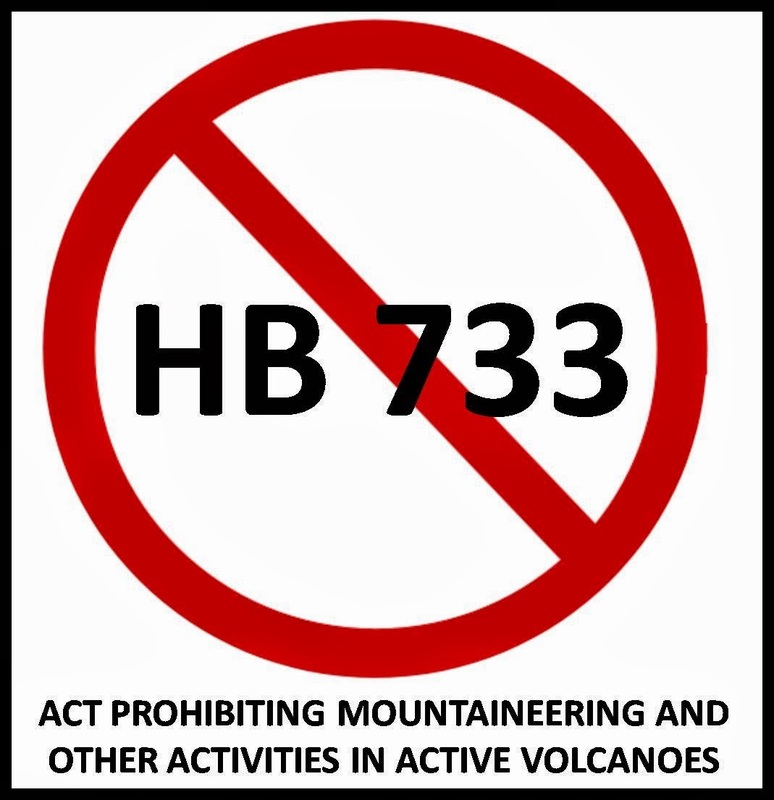 If this Bill will be approved, it will be known as "Anti-Volcano Climbing Act of 2012". This Bill was authored by Rep. Cristopher S. Co and Rodel M. Batocabe, both from the controversial AKO- BICOL Party List. It aims to Prohibit Mountaineering and other activities in Active Volcanoes. The two Congressmen of AKO-Bicol sited the May 7, 2013 Mayon Phreatic Explosion as background of the Bill but it must be realized that Phreatic Explosion is far different from magmatic eruption. At that time, the Philippine Institute of Volcanology and Seismology stated that the alert level remain at alert level 0 and no volcanic earthquake activity was detected within the past 24-hour observation period and there was no indication of further intensification of volcanic activity that's why they did not propose for any evacuation plan. The country is part of the Ring of Fire wherein about 90% of the world's earthquakes and 81% of the world's largest earthquakes occurs, therefore it must be expected that volcanoes of this country are active. The said Ring of Fire has 452 volcanoes and is home to over 75% of the world's active and dormant volcanoes. According to scientific explanation the existence of the mountains in the Philippines and other country within Ring of Fire were direct result of plate tectonics and the movement and collisions of lithospheric plates. Mayon Volcano is a Natural Park that captivated the entire world by its being perfect cone despite of many recorded eruptions. We cannot hide the fact that aside from Butanding watching, Mayon Volcano trek is one of the must do activities of every tourist in the Bicol Region. The province of Albay indebted its prominence to the majestic Mayon Volcano. The Congressmen from Albay should realize that the economic growth of their place was due to the boom of tourism even during and after the 2013 eruption and not by their commitment of passing effective and efficient socio-economic based bills. Mayon volcano's existing "no entry within eight kilometer zone" is a violation of the right of every mountaineer to travel. If this anti-mountaineering Bill will be passed, the mountaineers should expect to climb mountains with only less than 1,000 Meters Above Sea Level elevation. This Bill will limit the trail of every mountaineers that could lead to more destruction of the natural resources. One of the hidden impacts of this Bill will lead to monopolization of the mountain for the gain intention of the few. Volcanoes are known to be deposits of natural resources, and we are aware that illegal loggings and minings are among the undeclared business of some politicians. If the volcanoes will be closed to the mountaineers, the monster of the natural resources will extract all just to satisfy their cravings for profit. The said Bill demonstrates that the Congressmen are not mountaineers and they don't have any idea regarding the process of climbing mountain. Before the Mayon Volcano 2013 eruption, mountaineering groups process their permit to climb from the DENR but the go signal to climb is being given by PHIVOLCS only when there is no alert level. Mountaineers should stand against this Bill. Let us not allow them to limit our trail. Let us be vigilant to any form and plan of destroying our natural resources. This is another opportune time for The Philippine Mountaineering to demonstrate its unity once more. Let us fight the proposed House Bill 733 authored by Cristopher Co and Rodel Batocabe. The said Act will Prohibit Mountaineering and other activities in Active Volcanoes. Calling the attention of all mountaineers, concerned individuals and organizations for possible formulation of position letter against this anti-mountaineering idea. LET THE MOUNTAINS BE FREE FROM POLITICS OF THE TRAPOS! Spread the campaign by signing and sharing the petition letter. 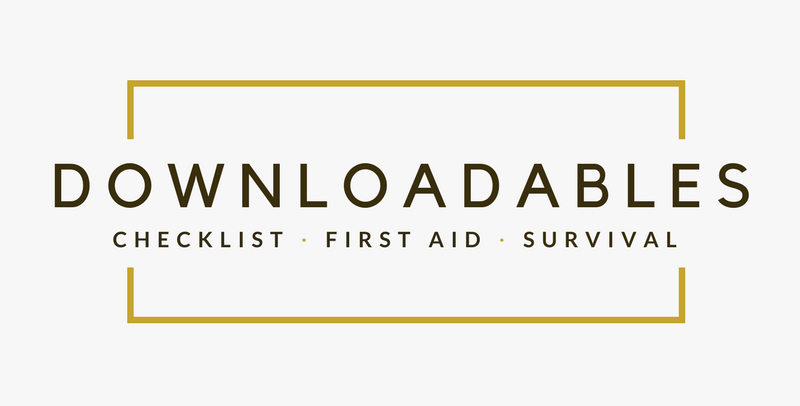 Bookmark and visit our website regularly, like our Facebook fan page, follow us on Twitter, add us on Google+, and/or subscribe to our news feeds via RSS or Email. Who cares about that bill?